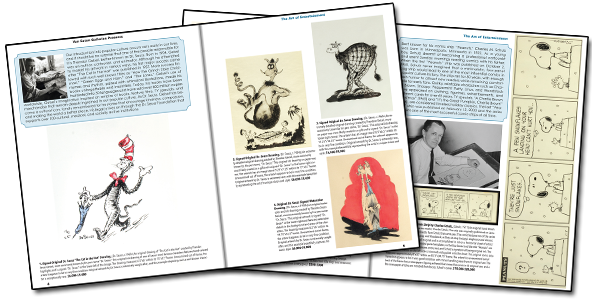 This is the softcover version of the catalog for our May 2019 "The Art of Entertainment" auction. 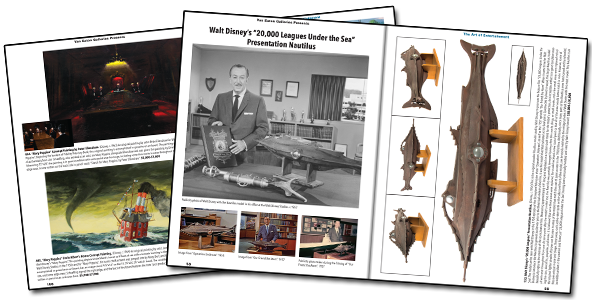 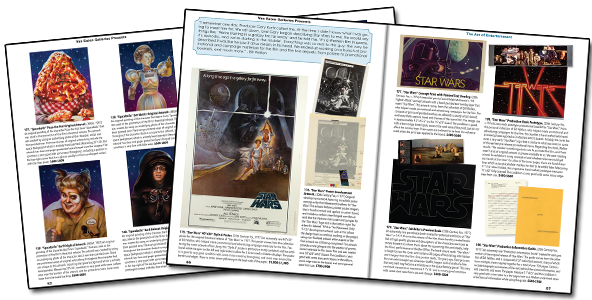 This gorgeous collectible reference catalog measures 11" x 8.5" and features lovely full-color imagery for 700 items available in the auction, detailed across 250 pages. 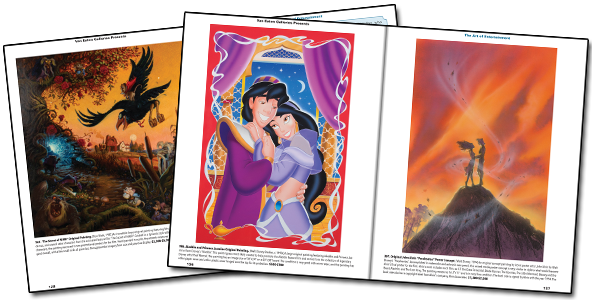 Softcover catalogs will begin shipping by April 15, 2019. 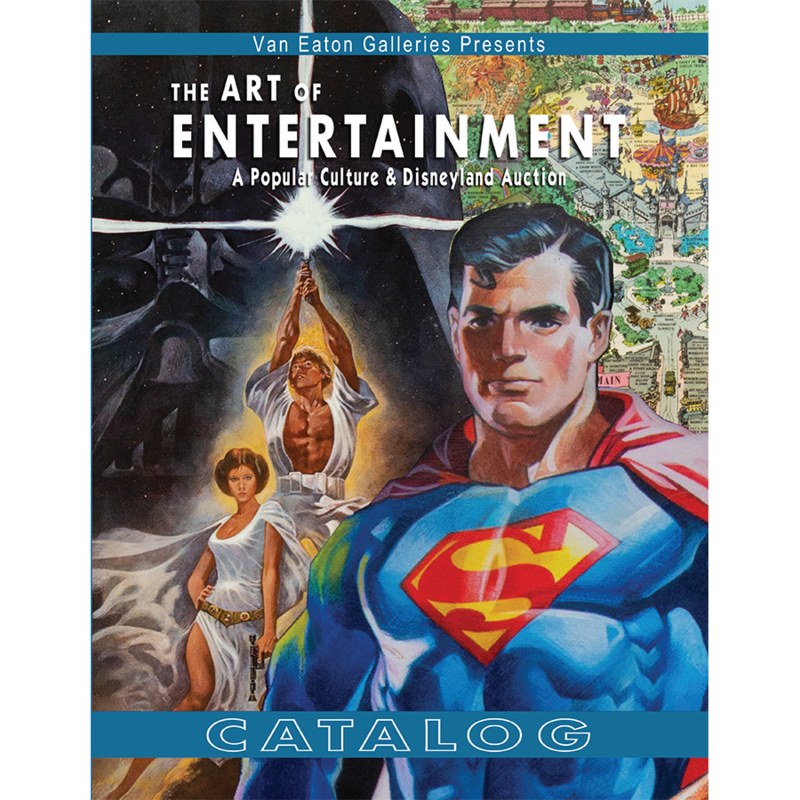 Van Eaton Galleries is proud to present "The Art of Entertainment", a 700 item Popular Culture and Disneyland exhibition and auction. 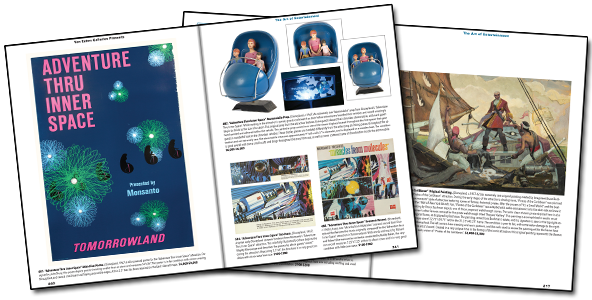 This collection brings together original artwork, props, artifacts, and historical items from memorable moments of Popular Culture and Disneyland history. 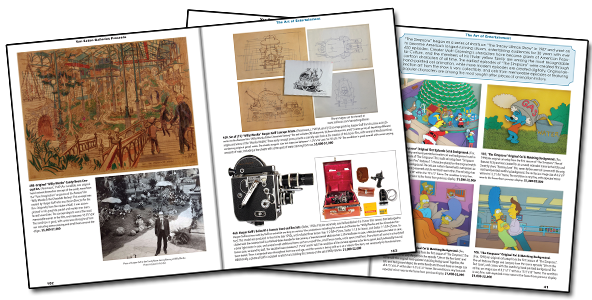 Highlights of this collection include original Drew Struzan artwork from the "Back to the Future" trilogy, original Charles Addams artwork from "Murder by Death", two wooden Nautilus models used in the creation of "20,000 Leagues Under the Sea", as well as items from "Star Wars", "The Simpsons", "Star Trek", "E.T. 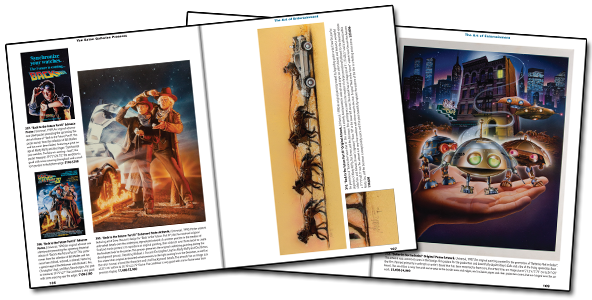 ", "Spaceballs", "Mary Poppins", and the over 60-year history of Disneyland. 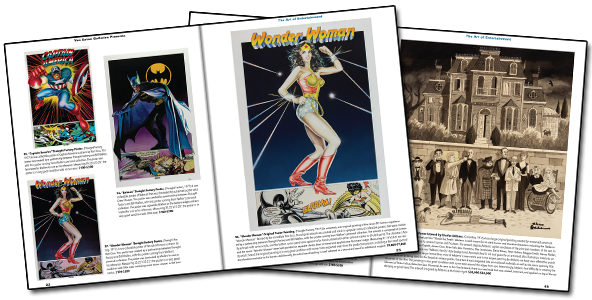 Spanning categories of film, television, comics, superheroes, science fiction, and more, this one-of-a-kind exhibition and auction celebrates the Art of Entertainment and the cultural significance it plays in our lives.